Our goal at RedRocketResume isn’t to deliver resumes that look good. Our goal is to create resumes that work. That means resumes that give hiring managers the information they need to identify you as the person best qualified to solve their problems and make their businesses run better. One of the ways I keep RedRocketResume up to date with current hiring practices is partnering with recruiters and career coaches. This helps us align our deliverables with what works in the real-world job market. Okay, this may sound pretty basic. But I work with many job seekers who have let this critical section of their resume fall out of date. For bonus points, create a custom LinkedIn url. A Summary section is the #1 most important part of your resume. It’s the first thing a hiring manager will read, and it occupies the most prominent real estate on the page. Key outcomes (the benefits that result from your work). The business problems your background enables you to solve. An identifier that acts like an attention-grabbing headline and shows overarching theme of your resume. A list of your professional highlights is a great strategy to draw extra attention to the most impressive elements of your background that otherwise may get buried in your resume. Craft 2-5 bullet points describing your accomplishments, and add a competency block full of ATS-pleasing keywords. 1. A short paragraph outlining your main job responsibilities. 2. 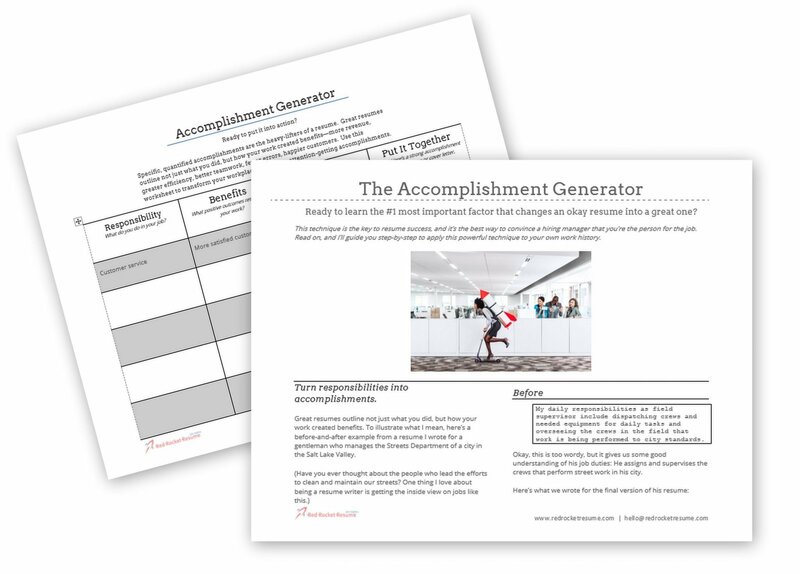 A handful of bullet points identifying your professional accomplishments. Put metrics or ballpark numbers on these wherever possible. Many job seekers feel frustrated by the prevalence of automated ATS keyword scanning systems. Solve this problem by using JobScan to get instant analysis of how well your resume matches a position and optimizes for ATS. Take advantage of JobScan’s offer of 5 free scans per month.